5,010,662 total website value calculated. Do you like siteprice.org? Click here if you do! on your website. Don't miss your chance! and website traffic checker tool. Try our website traffic checker free online tool to check websites&domains worth which have restricted adult content. If you only want to get an idea of worth of your website/domain name, you can simply use Simple Website Worth Calculator siteprice.org helps you to find your website value, estimated website traffic and your domain value. It's not easy to calculate and estimate a website value exactly. siteprice.org estimates the website market price(not the business price) with using several information with gathering, collecting and analyzing data from internet resources. To estimate the worth of a website, siteprice.org calculates with its own unique algorithm. If you want to sell your website or buy a website you'll probably need to know the website value and domain name value and appraise it. And maybe your website worths thousands. Maybe you don't even think about to sell your website, but don't miss your chance, calculate estimated website price and put it into your site to catch somebody who may want to interest with your web site. website traffic estimator, estimated daily unique view(which is maybe the most important factor). Estimated daily unique visitors count is trying to be estimated with several sources like Alexa, Compete, Google Ad Planner etc... It is not %100 correct but with our tests it is very proximate for most of the websites. Unique user count is a common way of measuring the popularity of a website and is often used by potential advertisers or investors. estimated daily advertisement income(which will help to indicate the logical price of the domain). Daily Advertisement Revenue calculation is based on Adsense income. Today most of the webmasters use Google Adsense. Our estimation is trying to emulate for a better adsense usage if this website uses 3 adsense ads on all pages. It is not easy to calculate for different keywords because adsense can show an ad not related only the page content, adsense can choose a specific ad for visitor. alexa rank. Alexa is one of the most common website tracker. 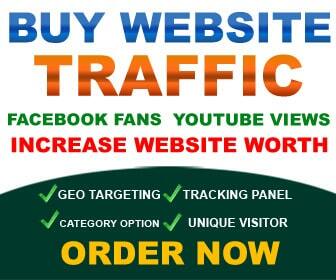 It measures sites traffic and compares all other websites traffic. It helps webmasters and advertisers to see the true marketing potential of website. Unfortunately it doesn't give always correct values because of manipulations. But it is still the most trustable tracker. And without alexa rank values it is hard to estimate a domain worth. Expired... domain google pagerank. Google pagerank is one of the most determining factor for a website quality today. And getting a high PR value is not an easy task. It requires lots of quality work. So Google pagerank value is an important factor for site price worth calculation. PageRank affects the number of pages of a website that get indexed by Google. So basically if you want more visitors with getting more pages indexed you have to increase PageRank. So we are using pagerank in our domain appraisal algorithm too. search engines google,yahoo and bing index status. The more pages that search engines index, the better. Search engines access websites to crawl site content and index some of the pages to their databases. They might don't index all the pages you have, mostly index pages with quality and unique content. So Indexing is one of the hardest factor if you have a big website, so we believe that search engine visibility is very important calculating the website value. If you have lots of pages indexed means that your domain has a lot possibility visited by my more visitors. domain age(which is important ranking factor for search engines). Domain age is an important SEO factor for search engines rankings because search engines use it for calculation trust and authority. Another thing is that spammers register and drop domains quickly, so spamming sites usually have newly registered domain names. But indexing of the site is more important from domain age. Note that if your website or domain is rather new, it won't be easy to make an accurate estimation because of less resources to check your domain.